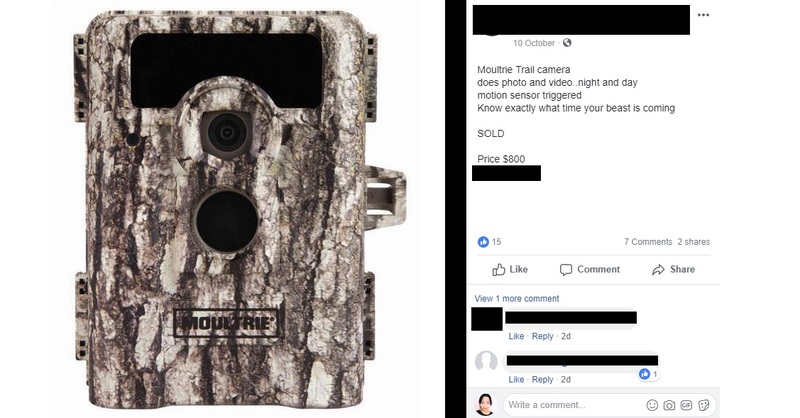 Photo: On October 12, less than two weeks into the hunting season, many have called for the authorities to step in after photos were shared online showing excessive hunting and poaching. The baby Ocelot (far right), was probably taken after its mother was killed, and is a protected species. 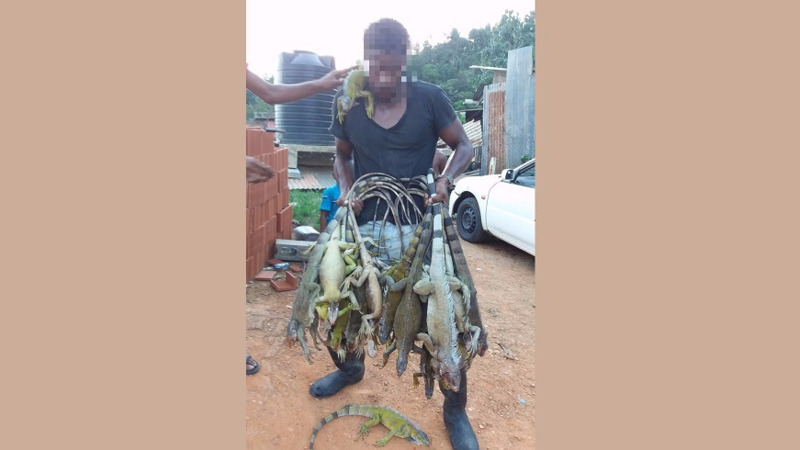 Former tourism minister Stephen Cadiz has slammed what he says is an 'all-out war' against wildlife in Trinidad and Tobago. 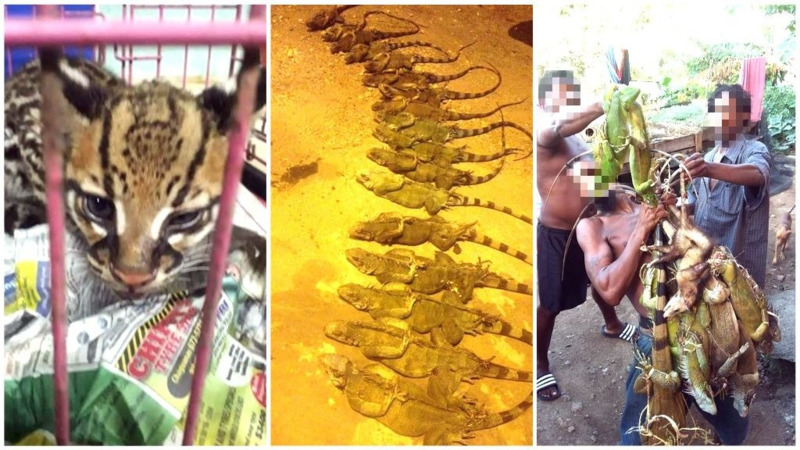 Photos and videos surfacing online showed large numbers of iguanas being hunted and even one or two photos of protected animals such as Ocelots and anteaters. Cadiz, who also previously served as transport minister, said based on the number of registered hunters, lack of bag limits and the length of the hunting season, hunting should be banned. "The Hunting Season is now in full swing. A total of 151 days, in excess of 10,000 registered hunters, no bag limits, no hour restrictions, no area other than 100 metres away from a built-up area, no species restriction, no gender restriction, no age nor size of animal restriction. Basically, it is an all-out war against helpless wild animals." "There is no restriction on the type of firearm, night vision wear, traps, etc. It is a man and his machinery against a wild animal. There is the use of hunting dogs to seek out the animal then run the animal to its near death then have the hunter kill it." 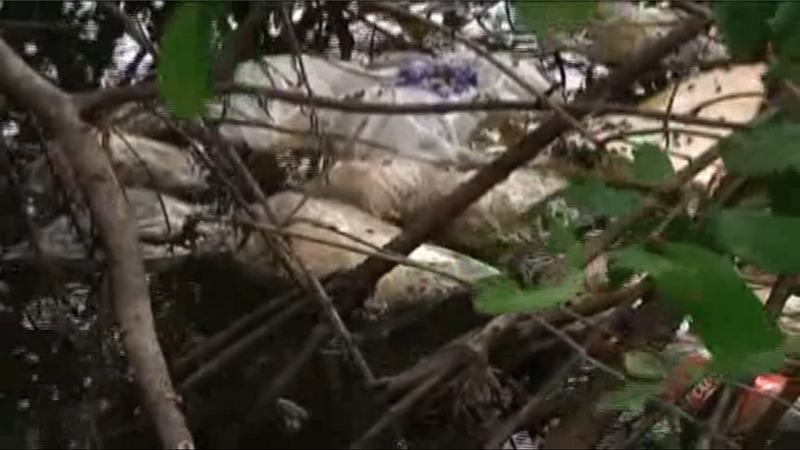 "Wild animals in Trinidad and Tobago are no match whatsoever against the hunters," he said. Cadiz calculated based on the number of registered hunters (around 10,000), even if even hunters only took home 1.5 kills per season, over 15,000 animals would be killed by the end of the hunting season. "So if we take everything into consideration what do we have? Based on the above information let’s look at the numbers, that always helps. "If 10 animals are killed per day how many will be killed during the season? 1,510. "If 100 animals are killed per day then? 15,100. "Based on the quantum of registered hunters that then works out to be 1.5 per season/hunter. I find that hard to accept that during a five-month season each hunter will only register 1.5 kills. Remember it is open season – no restrictions on anything: day, night, species, female, male, pregnant, age." 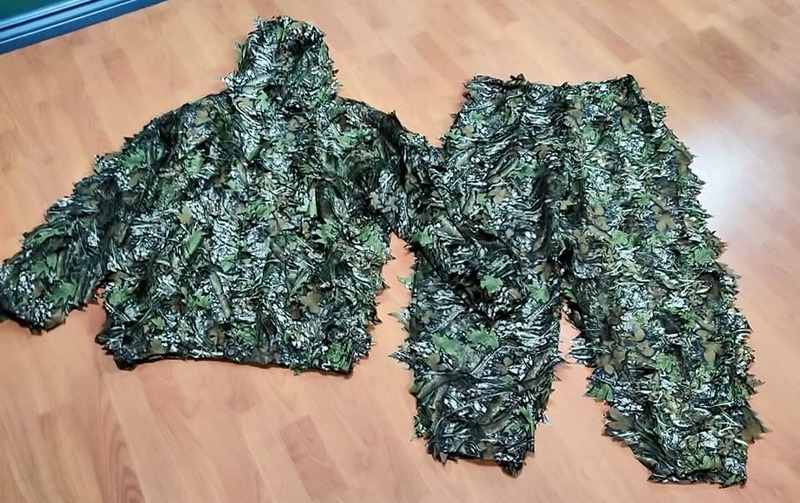 There have also been listings for additional equipment for sale on social media such bright lights, rifle scopes, camouflage outfits and more. 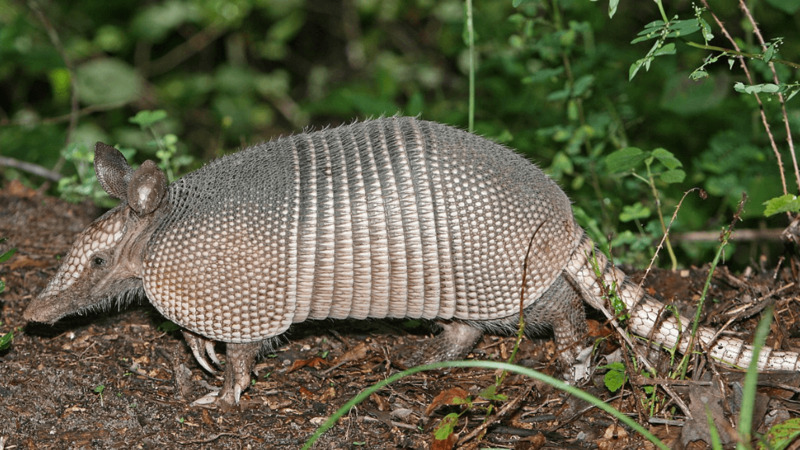 Often, pregnant animals are caught as some hunters say they are unable to tell whether the creature is pregnant until it has already been killed. "I am very sorry, this cannot be right," Cadiz said. Many commented and agreed that something should be done. “I am a hunter and I do see your point. Every season it’s somewhat harder than the last. The animals have been wiped out. The younger generation of hunters now don’t seem to care or have a limit. Hunting out of season is a big contributor to the problem also. The Confederation of Hunters’ Associations for Conservation of T&T (CHACTT) previously called for bag limits to maintain the sport's sustainability. They also slammed the growing business of wild meat, which they say is unsustainable. However, Agriculture, Lands and Fisheries Minister, Clarence Rambharat, said it would be difficult to enforce this. Hunting open season begins on October 1, 2018, and ends on February 28, 2019. Hunters can obtain up to a maximum of three licences in accordance with the Conservation of Wildlife Amendment Regulations, Legal Notice No. 352 of 2012. The open season for hunting waterfowl begins November 1, 2018 and ends February 28, 2019.